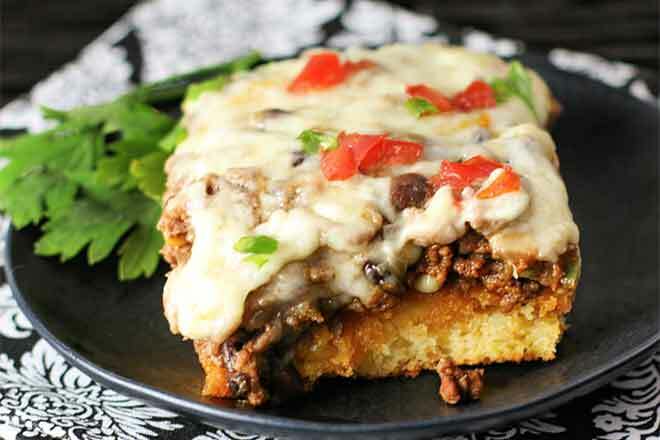 This delicious Enchilada Cornbread Pie will make dinner exciting and easy. We are talking comfort food to the max, with ayers of jazzed-up crispy skillet cornbread, red enchilada sauce, spiced ground beef and two kinds of cheeses, baked to perfection! Preheat oven to 400degF. Grease a large cast iron skillet with butter. While the corn bread is baking, in a large skillet over medium heat, add the olive oil. Pour in the onions, jalapeno, red bell pepper, cumin, chili powder, garlic powder, onion powder and a little salt and pepper. 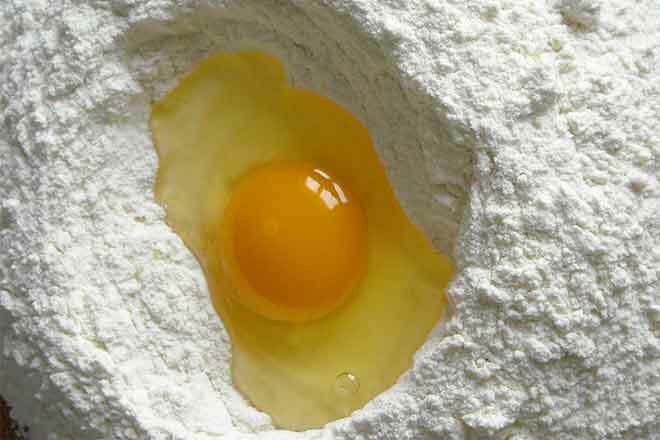 Cook until soft, about 6 minutes. Add in garlic and cook for 1 minute. Add in the ground beef, stir all together and cook until no longer pink, about 6 minutes. Drain fat. Stir in the corn kernels and 1/4 cup enchilada sauce. Next, poke holes with a fork over the entire surface of the cornbread and pour over the 1/3 cup enchilada sauce. Add the meat mixture over the top and then layer the cheeses on top of the meat mixture. Cover the skillet with foil and bake until cheese melts, about 20 minutes. Remove foil and broil for 5 minutes until cheese is golden, if desired.